СОВРЕМЕННЫЕ СПОСОБЫ ОБРАБОТКИ И СТЕРИЛИЗАЦИИ АЛЛОГЕННЫХ КОСТНЫХ ТКАНЕЙ (обзор литературы). В мировой клинической практике использование биоматериалов на основе костной ткани при реконструктивно-пластических операциях становится все более распространенной процедурой. Аллогенные костнопластические материалы являются основной заменой аутокости и лучшей альтернативой любому синтетическому костнозамещающему материалу. Методы, используемые для хранения, обработки и стерилизации материалов на основе костной ткани, с течением времени совершенствуются и претерпевают изменения. Главными задачами исследователей остаются исключение инфицирования и создание материала, сохраняющего биологические свойства кости. В обзоре литературы описаны основные методы, используемые для хранения, обработки и стерилизации биотканей и условия, необходимые для создания безопасных аллогенных костнопластических материалов, обладающих остеоиндуктивными, остеокондуктивными, остеогенными свойствами. 1. Haeseker B. Mr. Job van Meekeren (1611-1666) and surgery of the hand. Plast Reconstr Surg. 1988;82(3):539-546. 2. Henkel J., Woodruff M.A., Epari D.R., Steck R., Glatt V., Dickinson I.C., Choong P.F., Schuetz M.A., Hutmacher D.W. Bone Regeneration Based on Tissue Engineering Conceptions — A 21st Century Perspective. Bone Res. 2013;1(3):216-248. DOI: 10.4248/BR201303002. 3. Lomas R., Chandrasekar A., Board T.N. Bone allograft in the UK: perceptions and realities. Hip Int. 2013;23(5): 427-433. DOI: 10.5301/hipint.5000018. 4. Тихилов Р.М., Шубняков И.И., Коваленко А.Н., Черный А.Ж., Муравьева Ю.В., Гончаров М.Ю. Данные регистра эндопротезирования тазобедренного сустава РНИИТО им. Р.Р. Вредена за 2007–2012 годы. Травматология и ортопедия России. 2013;(3):167-190. Tikhilov R.M., Shubnyakov I.I., Kovalenko A.N., Cherniy A.Zh., Muravyeva Yu.V., Goncharov M.Yu. [Data of hip arthroplasty registry of Vreden Russian Research Institute for Traumatology and Orthopedics for the period 2007–2012 years]. Travmatologiya i Ortopediya Rossii [Traumatology and Orthopedics of Russia]. 2013;(3):167-190. (in Russian). 6. Мухаметов У.Ф., Мухаметов Ф.Ф., Сулейманов Я.Н., Нагаев Р.Я., Нигматуллин Р.Т., Шангина О.Р. Некоторые аспекты ревизионного эндопротезирования тазобедренного сустава. Пластика костных дефектов губчатыми аллоплантами. Гений ортопедии. 2016;(4):29-35. DOI 10.18019/1028-4427-2016-4-29-35. Mukhametov U.F., Mukhametov F.F., Suleimanov I.N., Nagaev R.I., Nigmatullin R.T., Shangina O.R. [Some aspects of the hip arthroplasty revision. Bone defect plasty with sponge allografts]. Genij Ortopedii [Orthopedic Genius]. 2016;(4):29-35. (in Russian). DOI: 10.18019/1028-4427-2016-4-29-35. 7. Hernigou P., Pariat J., Queinnec S., Homma Y., Flouzat Lachaniette C.H., Chevallier N., Rouard H. Supercharging irradiated allografts with mesenchymal stem cells improves acetabular bone grafting in revision arthroplasty. Int Orthop. 2014;38(9):1913-1921. DOI: 10.1007/s00264-014-2285-2. 8. Oryan A., Alidadi S., Moshiri A., Maffulli N. Bone regenerative medicine: classic options, novel strategies, and future directions. J Orthop Surg Res. 2014;9(1):18. DOI: 10.1186/1749-799X-9-18. 9. Brydone A.S., Meek D, Maclaine S. Bone grafting, orthopaedic biomaterials, and the clinical need for bone engineering. Proc Inst Mech Eng H. 2010;224(12):1329-1343. 10. Costain D.J., Crawford R.W. Fresh-frozen vs. irradiated allograft bone in orthopaedic reconstructive surgery. Injury. 2009;40(12):1260-1264. DOI: 10.1016/j.injury.2009.01.116. 11. Кирилова И.А., Садовой М.А., Подорожная В.Т. Сравнительная характеристика материалов для костной пластики: состав и свойства. Хирургия позвоночника. 2012;(3):72-83. Kirilova I.A., Sadovoy M.A., Podorozhnaja V.T. [Comparative Characteristics of Materials for Bone Grafting: Composition and Properties]. Khirurgiya pozvonochnika [Spine surgery]. 2012;(3):72-83. (in Russian). 12. Bauer T.W., Muschler G.F. Bone grafts materials. An overview of the basic science. Clin Orthop Relat Res. 2000;(371):10-27. 13. Hench L.L. Biomaterials: a forecast for the future. Biomaterials. 1998;19(16):1419-1423. 14. Nandi S.K., Roy S., Mukherjee P., Kundu B., De D.K., Basu D. Orthopedic applications of bone graft and graft substitutes: a review. Indian J Med Res. 2010;132:15-30. 15. Urist M.R., Silverman B.F., Büring K., Dubuc F.L., Rosenberg J.M. The bone induction principle. Clin Orthop Relat Res. 1967;53:243-83. 16. Giannoudis P.V., Einhorn T.A., Marsh D. Fracture healing: the diamond concept. Injury. 2007;38(4):3-6. 17. Лекишвили М.В., Склянчук Е.Д., Акатов В.С., Очкуренко А.А., Гурьев В.В., Рагинов И.С., Бугров С.Н., Рябов А.Ю., Фадеева И.С., Юрасова Ю.Б., Чеканов А.С. Костнопластические остеоиндуктивные материалы в травматологии и ортопедии. Гений ортопедии. 2015;(4):61-67. DOI: 10.18019/1028-4427-2015-4-61-67. Lekishvili M.V., Sklianchuk E.D., Akatov V.S., Ochkurenko A.A., Gur’ev V.V., Raginov I.S., Bugrov S.N., Riabov A.Iu., Fadeeva I.S., Iurasova Ju.B., Chekanov A.S. [Osteoplastic osteoinductive materials in traumatology and orthopaedics]. Genij Ortopedii [Orthopedic Genius]. 2015;(4):61-67. (in Russian). DOI: 10.18019/1028-4427-2015-4-61-67. 18. Smith C.A., Richardson S.M., Eagle M.J., Rooney P., Board T., Hoyland J.A. The use of a novel bone allograft wash process to generate a biocompatible, mechanically stable and osteoinductive biological scaffold for use in bone tissue engineering. J Tissue Eng Regen Med. 2015;9(5): 595-604. DOI: 10.1002/term.1934. 19. Islam A., Chapin K., Moore E., Ford J., Rimnac C., Akkus O. Gamma Radiation Sterilization Reduces the High-cycle Fatigue Life of Allograft Bone. Clin Orthop Relat Res. 2016;474(3):827-835. DOI: 10.1007/s11999-015-4589-y. 20. Elsalanty M.E., Genecov D.G. Bone grafts in craniofacial surgery. Craniomaxillofac Trauma Reconstr. 2009;2(3): 125-134. DOI: 10.1055/s-0029-1215875. 21. Woodruff M.A., Lange C., Reichert J., Berner A., Chen F., Fratzl P., Schantz J.T., Hutmacher D.W. Bone tissue engineering: from bench to bedside. Materials Today. 2012;15(10):430-434. DOI: 10.1016/S1369-7021(12)70194-3. 22. Man W.Y., Monni T., Jenkins R., Roberts P. Post-operative infection with fresh frozen allograft: reported outcomes of a hospital-based bone bank over 14 years. Cell Tissue Bank. 2016;17(2):269-275. DOI:10.1007/s10561-016-9547-8. 23. Delloye C., Simon P., Nyssen-Behets C., Banse X., Bresler F., Schmitt D. Perforations of cortical bone allografts improve their incorporation. Clin Orthop Relat Res. 2002;(396): 240-247. 24. Lomas R., Drummond O., Kearney J.N. Processing of whole femoral head allografts: A method for improving clinical efficacy and safety. Cell Tissue Bank. 2000;1(3):193-200. DOI: 10.1023/A:1026512312385. 25. Fölsch C., Mittelmeier W., Bilderbeek U., Timmesfeld N., von Garrel T., Peter Matter H. Effect of Storage Temperature on Allograft Bone. Transfus Med Hemother. 2012;39(1):36-40. DOI: 10.1159/000335647. 26. Parkes A.S. Factors affecting the viability of frozen ovarian tissue. J Endocrinol. 1958;17(4):337-343. 27. Taylor A.C. The physical state of transition in the freezing of living cells. Ann N Y Acad Sci. 1960;85:595-609. 28. Vastel L., Masse C., Mesnil P., Crozier E., Padilla F., Laugier P., Mitton D., Courpied J.P. Comparative ultrasound evaluation of human trabecular bone graft properties after treatment with different sterilization procedures J Biomed Mater Res B Appl Biomater. 2009;90(1):430-437. DOI: 10.1002/jbm.b.31302. 29. DePaula C.A., Truncale K.G., Gertzman A.A., Sunwoo M.H., Dunn M.G. Effects of hydrogen peroxide cleaning procedures on bone graft osteoinductivity and mechanical properties. Cell Tissue Bank. 2005;6(4):287-298. DOI: 10.1007/s10561-005-3148-2. 30. Eagle M.J., Man J., Rooney P., Hogg P., Kearney J.N. Assessment of an improved bone washing protocol for deceased donor human bone. Cell Tissue Bank. 2015;16(1):83-90. DOI: 10.1007/s10561-014-9443-z. 31. Rauh J., Despang F., Baas J., Liebers C., Pruss A., Gelinsky M., Günther K.P., Stiehler M. Comparative biomechanical and microstructural analysis of native versusperacetic acid-ethanol treated cancellous bone graft. Biomed Res Int. 2014;2014:784702. DOI: 10.1155/2014/784702. 32. Russell N., Rives A., Pelletier M.H., Wang T., Walsh W.R. The effect of supercritical carbon dioxide sterilization on the anisotropy of bovine cortical bone. Cell Tissue Bank. 2015;16(1):109-121. DOI: 10.1007/s10561-014-9447-8. 33. Ruphuy G., Souto-Lopes M., Paiva D., Costa P., Rodrigues A.E., Monteiro F.J., Salgado C.L., Fernandes M.H., Lopes J.C., Dias M.M., Barreiro M.F. Supercritical CO2 assisted process for the production of high-purity and sterile nano-hydroxyapatite/chitosan hybrid scaffolds. J Biomed Mater Res B Appl Biomater. 2017 May 4 [Epub ahead of print]. DOI: 10.1002/jbm.b.33903. 34. Mohr J., Germain M., Winters M., Fraser S., Duong A., Garibaldi A., Simunovic N., Alsop D., Dao D., Bessemer R., Ayeni O.R. Bioburden Steering Committee and Musculoskeletal Tissue Working group. Disinfection of human musculoskeletal allografts in tissue banking: a systematic review. Cell Tissue Bank. 2016;17(4):573-584. DOI: 10.1007/s10561-016-9584-3. 35. Singh R., Singh D., Singh A. Radiation sterilization of tissue allografts: A review. World J Radiol. 2016;8(4): 355-369. DOI: 10.4329/wjr.v8.i4.355. 36. Wassilew G.I., Janz V., Renner L., Perka C., Pruss A. Reduced rates of non-union with modified periacetabular osteotomy using peracetic-acid sterilized cancellous allografts. Cell Tissue Bank. 2016;17(4):713-720. DOI: 10.1007/s10561-016-9587-0. 37. Indelicato P.A., Ciccotti M.G., Boyd J., Higgins L.D., Shaffer B.S., Vangsness C.T. Jr. Aseptically processed and chemically sterilized BTB allografts for anterior cruciate ligament reconstruction: a prospective randomized study. Knee Surg Sports Traumatol Arthrosc. 2013;21(9): 2107-2112. DOI: 10.1007/s00167-012-2309-7. 38. Dunsmuir R.A., Gallacher G. Microwave sterilization of femoral head allograft. J Clin Microbiol. 2003;41(10):4755-4757. 39. Singh R., Singh D. Sterilization of bone allografts by microwave and gamma radiation. Int J Radiat Biol. 2012;88(9):661-666. DOI: 10.3109/09553002.2012.700166. 40. Матвейчук И.В., Розанов В.В., Пантелеев В.И., Агалакова Л.М., Кирилова И.А. Инновационные подходы к совершенствованию процесса стерилизации для решения задач биоимплантологии. Вопросы биологической, медицинской и фармацевтической химии. 2013;11(11):92-97. Matveychuk I.V., Rozanov V.V., Panteleev V.I., Agalakova L.M., Kirilova I.A. [Innovative approaches to improvement of process of sterilization for the solution of problems of bioimplantology]. Voprosy biologicheskoi, meditsinskoi i farmatsevticheskoi khimii [Problems of Biological, Medical and Pharmaceutical Chemistry]. 2013;11(11):92-97. 41. Rediguieri C.F., Pinto Tde. J., Bou-Chacra N.A., Galante R., de Araújo G.L., Pedrosa Tdo N., Maria-Engler S.S., De Bank P.A. Ozone Gas as a Benign Sterilization Treatment for PLGA Nanofiber Scaffolds. Tissue Eng Part C Methods. 2016;22(4):338-347. DOI: 10.1089/ten.TEC.2015.0298. 42. Shintani H. Ethylene Oxide Gas Sterilization of Medical Devices. Biocontrol Sci. 2017;22(1):1-16. DOI: 10.4265/bio.22.1. 43. Калашников В.В., Гордеев А.В., Павлов Е.П., Бушманов Ю.А. Разработка и применение метода радиационной стерилизации в Федеральном медицинском биофизическом центре им. А. И. Бурназяна (обзор). Саратовский научно-медицинский журнал. 2014;10(4):844-849. Kalashnikov V.V., Gordeev A.V., Pavlov E.P., Bushmanov U.A. [Development and application of radiation sterilization method in Federal Medical and Biophysical centre n.a. A.I. Burnazyan (review)]. 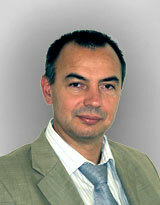 Saratovskiy nauchnomeditsinskiy zhurnal [Saratov Journal of Medical Scientic Research]. 2014;10(4):844-849. 44. Moore T.M., Gendler E., Gendler E.. Viruses adsorbed on musculoskeletal allografts are inactivated by terminal ethylene oxide disinfection. J Orthop Res. 2004;22(6): 1358-1361. DOI: 10.1016/j.orthres.2004.05.002. 45. Trump J.G., Van De Graaff R.J. Irradiation of biological materials by high energy roentgen rays and cathode rays. J Applied Physics. 1948;19:599-604. DOI: 10.1063/1.1698178. 46. Nguyen H, Morgan DA, Forwood MR. Sterilization of allograft bone: effects of gamma irradiation on allograft biology and biomechanics. Cell Tissue Bank. 2007;8(2): 93-105. DOI: 10.1007/s10561-006-9020-1. 47. Nguyen H., Morgan D.A., Forwood M.R. Sterilization of allograft bone: is 25 kGy the gold standard for gamma irradiation? Cell Tissue Bank. 2007;8(2):81-91. DOI: 10.1007/s10561-006-9019-7. 48. Tallentire A. The Spectrum of Microbial Radiation Sensitivity. Radiat Phys Chem. 1980;15:83-89. DOI: 10.1016/0146-5724(80)9 0101-6. 49. Dziedzic-Goclawska A., Kaminski A., UhrynowskaTyszkiewicz I., Stachowicz W. Irradiation as a safety procedure in tissue banking. Cell Tissue Bank. 2005;6(3):201-219. DOI: 10.1007/s10561-005-0338-x. 50. Conway B., Tomford W., Mankin H.J., Hirsch M.S., Schooley R.T. Radiosensitivity of HIV-1-potential application to sterilization of bone allografts. AIDS. 1991;5(5):608-609. 51. Шангина О.Р., Нигматуллин Р.Т. Влияние радиационной стерилизации на структуру и свойства биоматериалов. Морфология. 2006;129(3):44-47. Shangina O.R., Nigmatullin R.T. [Effect of radiation sterilization on biomaterial structure and properties]. Morfologiya [Morphology]. 2006;129(3):44-47. 52. Шангина О.Р., Хасанов Р.А. Организационная структура и технологическая схема тканевого банка «ALLOPLANT®». Технологии живых систем. 2015;12(4):66-67. Shangina O.R., Khasanov R.A. [Organizational structure and technological scheme of “Alloplant®” tissue bank]. Tekhnologii zhivykh sistem [Technologies of Living Systems]. 2015;12(4):66-67. 53. Hoburg A., Keshlaf S., Schmidt T., Smith M., Gohs U., Perka C., Pruss A., Scheffler S. High-dose electron beam sterilization of soft-tissue grafts maintains significantly improved biomechanical properties compared to standard gamma treatment. Cell Tissue Bank. 2015;16(2):219-226. DOI: 10.1007/s10561-014-9461-x. 54. Burton B., Gaspar A., Josey D., Tupy J., Grynpas M.D., Willett T.L. Bone embrittlement and collagen modifications due to high-dose gamma-irradiation sterilization. Bone. 2014;61:71-81. DOI: 10.1016/j.bone.2014.01.006. 55. Loty B., Courpied J.P., Tomeno B., Postel M., Forest M., Abelanet R.. Bone allografts sterilised by irradiation. Biological properties, procurement and results of 150 massive allografts. Int Orthop. 1990;14(3):237-242. 56. Wientroub S., Reddi A.H. Influence of irradiation on the osteoindictive potential of demineralized bone matrix. Calcif Tissue Int. 1988;42(4):255-260. 57. Balsly C.R., Cotter A.T., Williams L.A., Gaskins B.D., Moore M.A., Wolfinbarger L. Jr. Effect of low dose and moderate dose gamma irradiation on the mechanical properties of bone and soft tissue allografts. Cell Tissue Bank. 2008;9(4):289-298. DOI: 10.1007/s10561-008-9069-0. 58. Seto A., Gatt C.J. Jr, Dunn M.G. Radioprotection of tendon tissue via crosslinking and free radical scavenging. Clin Orthop Relat Res. 2008;466(8):1788-1795. DOI: 10.1007/s11999-008-0301-9. 59. Reid J., Sikka R., Tsoi W., Narvy S.J., Hedman T., Lee T.Q., Vangsness C.T. Jr. Sterilization effects on the mechanical properties of human bone-patellar tendon-bone allografts. Orthopedics. 2010;33(4). DOI: 10.3928/01477447-20100225-06. 60. Burgess H.W., Mackrell J., Toms D., Karunanidhi A., Vaidya S., Hollinger J.O., Grieb T.A., Bertenshaw G.P. Response of bone subjected to optimized high dose irradiation. J Biomater Appl. 2010;24(5):387-400. DOI: 10.1177/0885328208097088. 61. Alanay A., Wang J.C., Shamie A.N., Napoli A., Chen C., Tsou P. A novel application of high dose rate (50kGy) gamma irradiation for demineralized bone matrix: effects on fusion rate in a rat spinal fusion model. Spine J. 2008;8(5): 789-795. DOI: 10.1016/j.spinee.2007.06.009. 62. Attia T., Woodside M., Minhas G., Lu X.Z., Josey D.S., Burrow T., Grynpas M., Willett T.L. Development of a novel method for the strengthening and toughening of irradiation-sterilized bone allografts. Cell Tissue Bank. 2017 May 30 [Epub ahead of print]. DOI: 10.1007/s10561-017-9634-5. 63. Pruss A., Kao M., von Garrel T., Frommelt L., Gürtler L., Benedix F., Pauli G. Virus inactivation in bone tissue transplants (femoral heads) by moist heat with the ‘Marburg bone bank system’. Biologicals. 2003;31(1):75-82. 64. Shin S., Yano H., Fukunaga T., Ikebe S., Shimizu K., Kaku N., Nagatomi H., Masumi S. Masumi Biomechanical properties of heat-treated bone grafts. Arch Orthop Trauma Surg. 2005;125(1):1-5. DOI: 10.1007/s00402-004-0746-6. 65. Vangsness C.T. Jr, Mitchell W. 3rd, Nimni M., Erlich M., Saadat V., Schmotzer H. Collagen shortening. An experimental approach with heat. Clin Orthop Relat Res. 1997;(337):267-271. 66. Pruss A., Seibold M., Benedix F., Frommelt L., von Garrel T., Gürtler L., Dörffel Y., Pauli G, Göbel UB. Validation of the ‘Marburg bone bank system’ for thermodisinfection of allogenic femoral head transplants using selected bacteria, fungi, and spores. Biologicals. 2003;31(4):287-294.